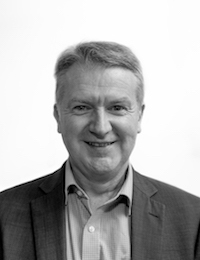 Dr Ian Hughes holds a joint position as Senior Policy Advisor in science, technology and innovation (STI) policy for the Department of Jobs, Enterprise and Innovation and as a Senior Research Fellow with MaREI. Ian’s focus is on providing a link between research and policy in order to assist policymakers in Ireland’s transition to sustainability. A major focus is on embedding system innovation thinking within Ireland’s innovation policy system. Over the last ten years, Ian has played a role in advising on the development of a range of government STI strategies, including Ireland’s recently published national innovation strategy ‘Innovation 2020’. For the last decade, he has also acted as Ireland’s national representative to the OECD Working Party on Innovation and Technology Policy (TIP) where he was involved in the OECD’s work on system innovation.